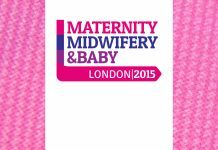 Home Midwifery News Tilting shifting landscapes, the new midwifery? Ever since I became a midwife, things have been changing, in line with the old adage “the only thing that is constant is Change” (Hericlitus of Ephesus)! As we draw towards the end of 2016, it has been useful to reflect on some of the most recent changes, and to think about the year ahead. The challenges we are presented with include ‘Brexit’, which has direct relevance to the NHS and midwifery due to the EU midwives directives, the recruitment of EU midwives to UK practice, and women and families from the EU requiring maternity services. Probably the biggest challenges lie in the pressure being experienced by the NHS – populations’ needs are increasing, funding is tight and reconfigurations continue, impacting on staff and services. Each day an item in the media or in social media highlights the need for more money and more resources for the NHS. Top of midwives’ list must be the shortfall of 3500 midwives (RCM 2016), particularly bearing in mind the upcoming demographic timebomb of a significant number of midwives reaching retirement age. 2017 will bring the loss of student midwife bursaries and reliance on normal student funding, – a huge concern as it which will certainly impact on recruitment, and probably retention, as student hardship bites. The needs of women and their families are becoming increasingly complex, with later pregnancy, fertility treatment, pregnancy impacted by the obesity ‘epidemic’, perinatal mental health, as well as more complex family and home lives. Women and their families also have higher expectations, and this may affect their interactions with midwives, and their own psychological travels through pregnancy and childbirth. It almost trite to say that midwives are busier than ever before, but with these challenges, how could they not be? This year has brought more attention to international and national initiatives, including the launch of the 17 global sustainable development goals (replacing and building on MDGs). The publication of the Better Births national maternity review in England this year (Cumberledge, 2016), has set a new agenda for the maternity services, including a vision in which women and babies receive a more personalised, kinder and family friendly service, more choice, and continuity of carer. This has already resulted in the Maternity Transformation Programme (NHS England 2016), which will support change. There is a whole raft of work underway within patient safety – of mother and baby – including the MBRRACE-UK the UK work carefully investigating maternal and perinatal morbidity and mortality; consideration of the rising CS rate and variations across the UK; the NHS Improvement Avoiding Term Admissions Into Neonatal units (ATAIN) and Perinatal mental health. And underpinning all this is the Lancet Midwifery Series, published in 2014 – a huge step in relooking at midwifery and newborn care – which has been presented and debated more widely over this year. Like other reports and initiatives, it places the woman and baby at the centre of care, but with midwifery as the bridge between the women, family and all the services and departments that might be required. The evidence based flavour of the work gives it greater strength and it is likely to influence our care and services to women, their babies and families over the forthcoming years. I believe that the woman and baby have to be at the centre of care – and this requires us as midwives to be strong, educated and visionary in working with women to ensure that services and support is designed to be flexible and appropriate to their needs. So against this shifting and highly complex landscape, there is a critical need for student and qualified midwives to be well equipped with information, and networking opportunities. This sets the agenda for the ‘Midwifery Exchange’ events in 2017, which will provide a unique and dynamic forum. See you there!